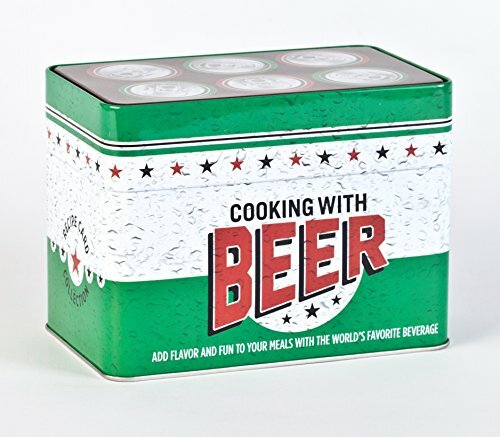 Cooking with Beer Recipe Tin Collection - BeerRevolt! » Beer isn t just for drinking! 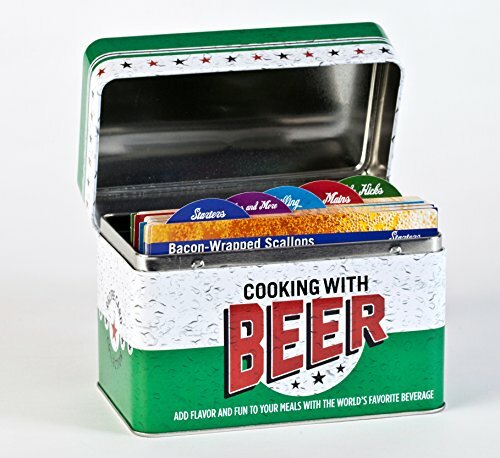 If you love beer, you ll love it as your newest kitchen staple. Use it to marinate meat, steam seafood, braise beef and give a flavor boost to soups and stews. 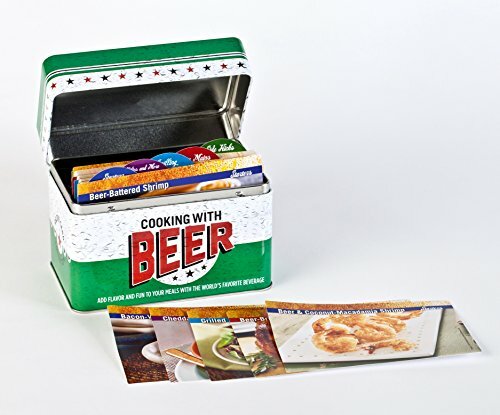 » This collectible recipe box makes the perfect gift for any beer lover. » More than 95 recipes with full-color photos are included on handy recipe cards, so conveniently stored in your gift box. » 5 tab-sections of recipes include Starters, Chilies, Grilling, Meats, and Sides.